September 11 is just one day away. 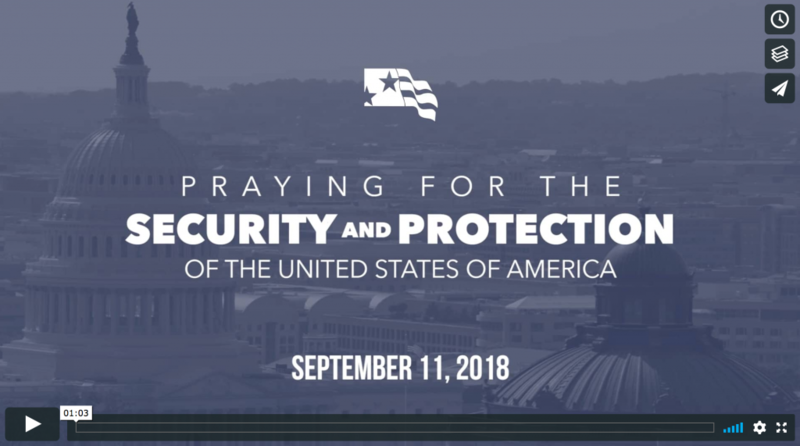 For a few weeks now, we have been asking people to join with us to pray for the security and protection of the United States on September 11, and this video continues to help us to sound the call. Share it and join with us in praying for the security and protection of our nation on September 11. This article is also a helpful tool as we pray for our first responders, who sacrifice so much to care for others. Thank you for praying with us.